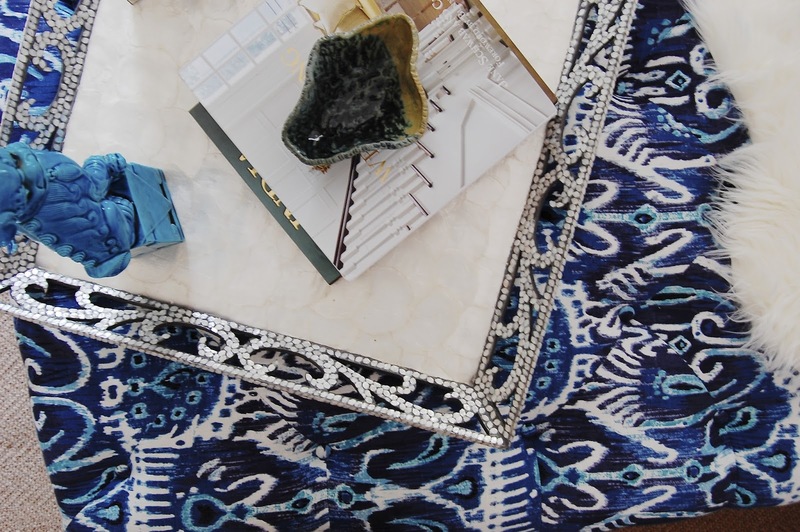 One Kings Lane is one of my favorite spots for accent pieces and my go-to for statement pieces. 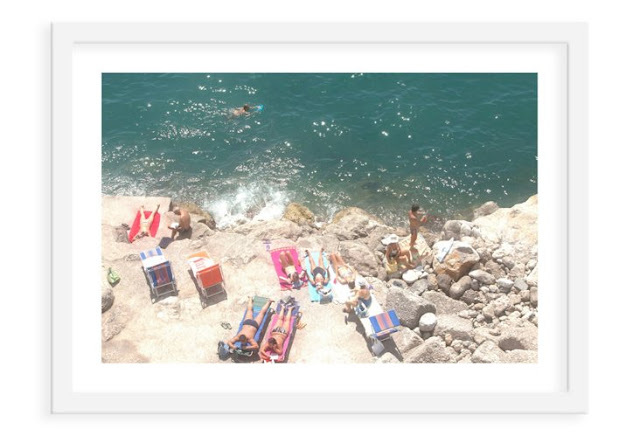 Vintage photographs in the vibe of Slim Aarons are always a must. 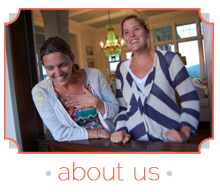 They offer one of a kind finds and awesome accessories at discounted rates. 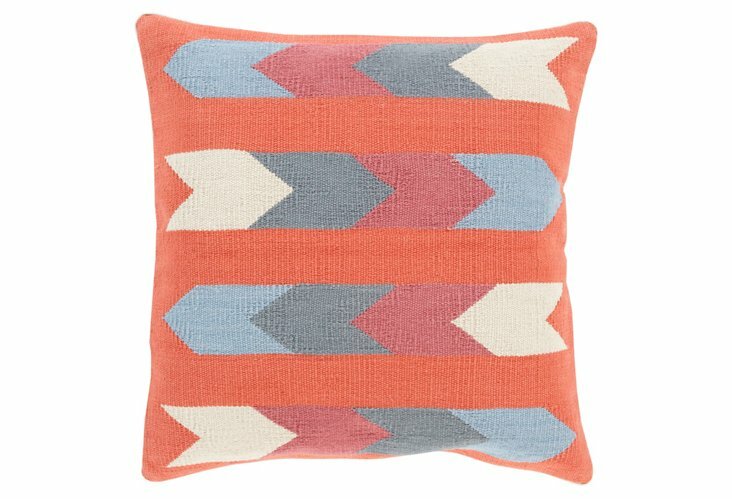 Check out their flash sales for deals and steals and some must haves for Summer! 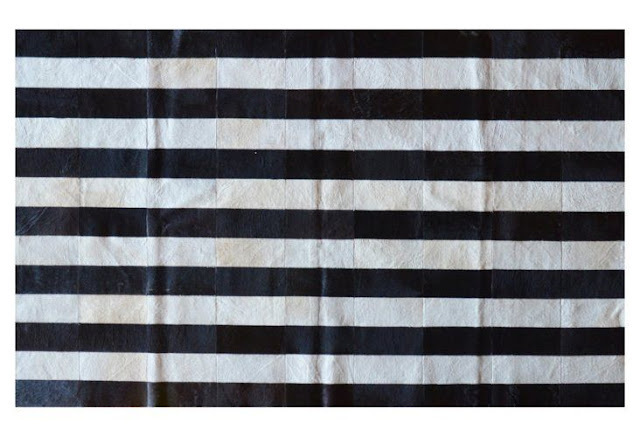 I love this large graphic black and white striped HIDE rug. Yep, it would be killer layered over a jute or sisal and add a pop of color with a brightly painted table. 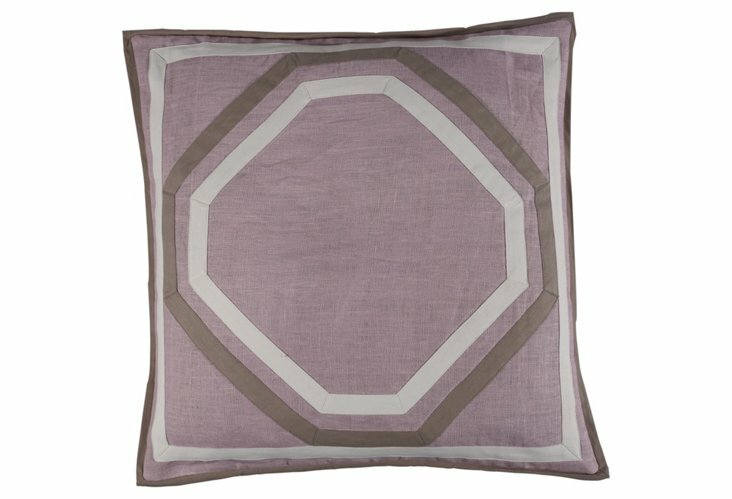 I love the soft muted tones of this linen pillow. Linen screams summer - it's light and relaxed. Pair this lilac with coral and you have a tropical palette. Any time you can add color to the wall, do it. 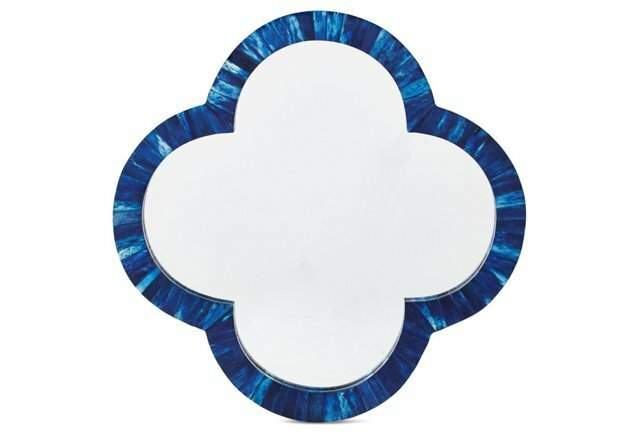 This lapis mirror is reflective of the sea and would jazz up any space. 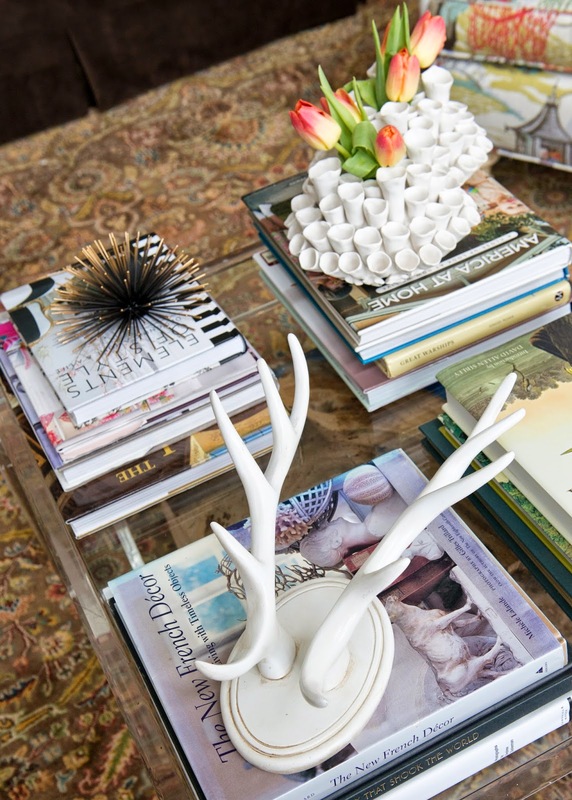 Coffee table styling is one of my favorite things to do -- the coffee table or ottoman in a room can be a focal point. It can be a reflection of your likes, travels and collections. 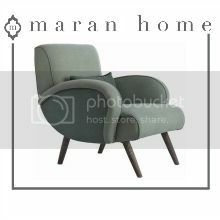 They can also be the perfect spot to prop your feet, stack your favorite books or sit down with a drink. I get questions all of the time from clients and friends about what makes the perfect coffee table and how to make it beautiful and functional. 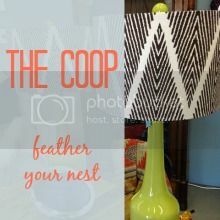 Here are just a few of my favorites from recent project... take a look! This ottoman is layered with a throw, books and pretty objects. I love the colors in this tufted top. 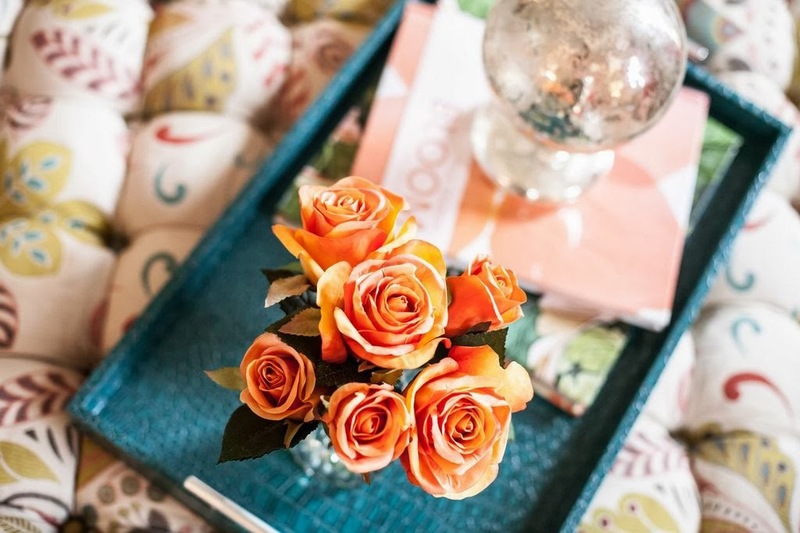 With a tray, it functions as a coffee table too. 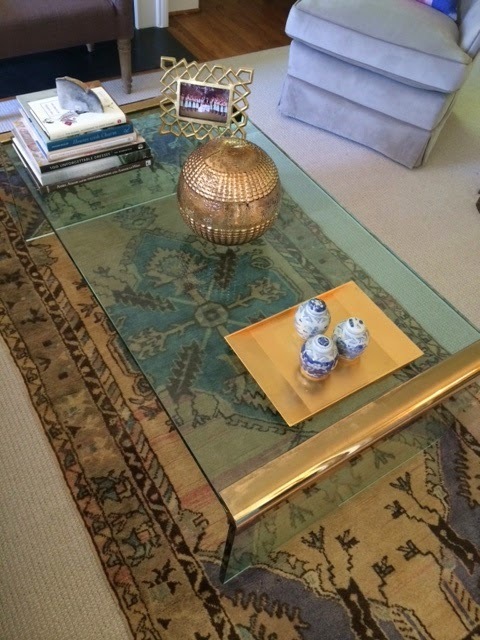 Lucite or acrylic tables allow the rug to shine and don't take up visual space so they can make an area seem bigger. Always, always do fresh REAL flowers in pretty small vases (or group small bud vases together) for a pop of color. Trays add color and compartmentalize the surface. Trays allows you to break up the space. 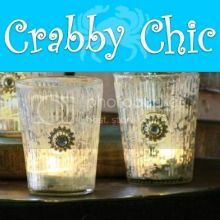 You can find them at art stores (spray paint wooden trays in a fun color and line with a pretty paper or wallpaper). You can also use a framed mirror as a tray and remove the hanging hardware from the back. 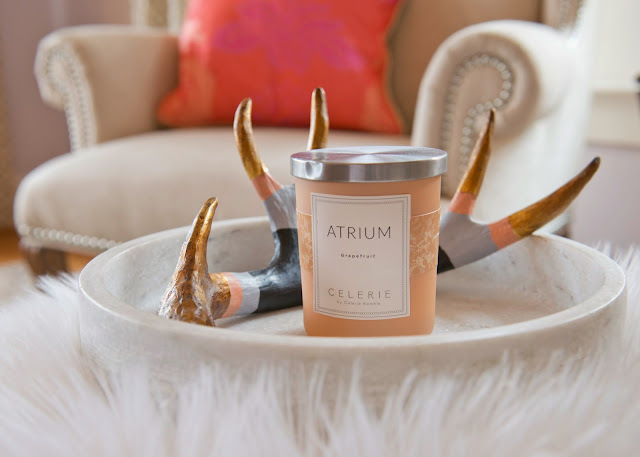 I love to add candles with great scents in pretty jars. This is my personal coffee table. 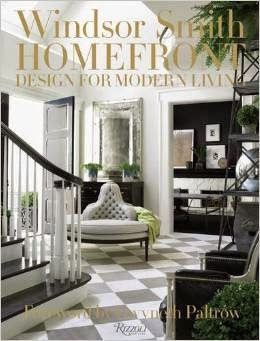 I love to flip through coffee table books (these can reflect interests: travel, interior design, gardening, cooking....). There are tons of beautiful books. Stack them and add sculptural elements on top to ground them. Check out my new DIY carrara marble countertops! 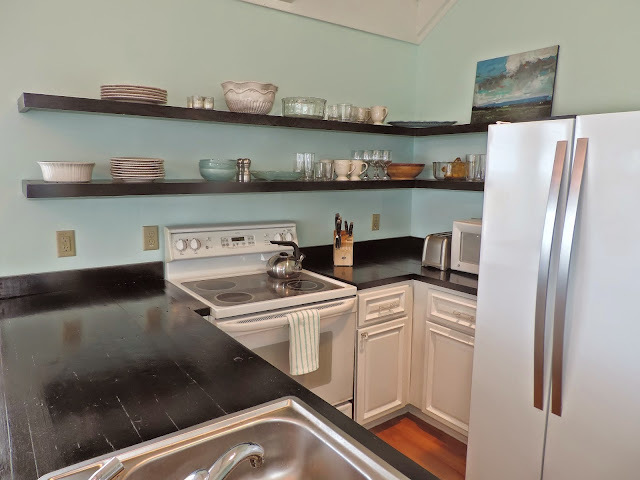 Over Spring Break, I decided our black butcher block countertops at our little Bald Head house were ugly and dark. The kitchen is tiny and it needed a little brightening up. So... you know the drill. Read had a business trip and we had a couple of rainy days. I called my counter top source, I really did. I asked them to price out a marble for the tiny space and it was a FORTUNE. Yep, once you factor in the barge and installation, it was way out of the budget. Plus, Read was out of town and well.... I got an idea. Disclaimer: If I can do this, so can you. Another Disclaimer: I am not a fan of faux finishes in general, but when you don't have the funds, you get creative. 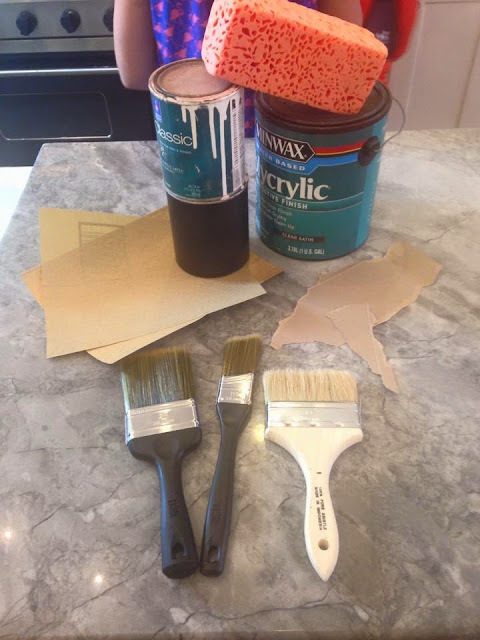 Here is what you need - I had most of these supplies in my garage left over from old projects. 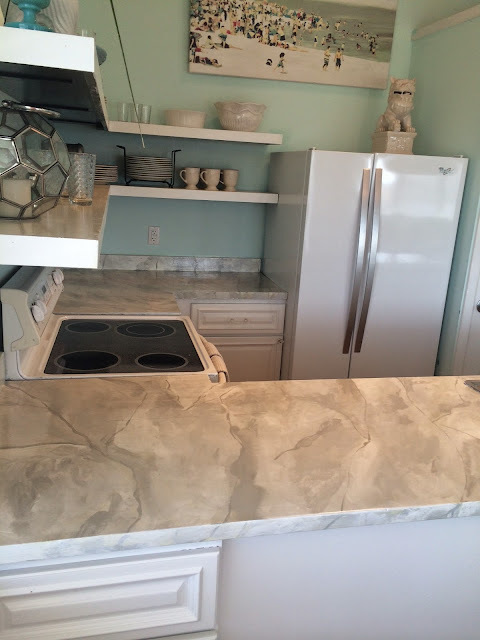 If you have wood or laminate counters, this could work for you! 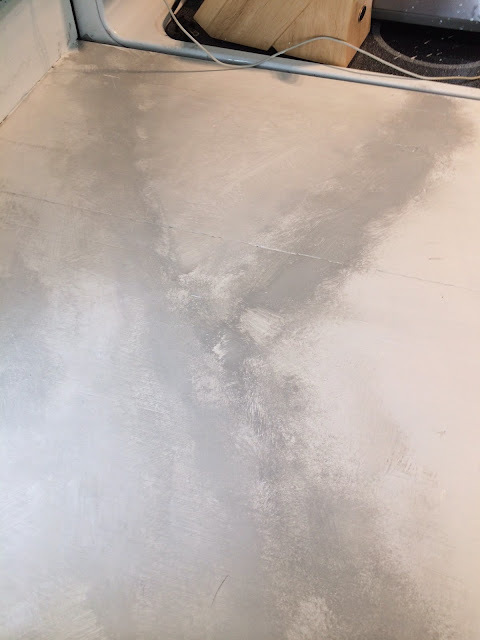 I started by drinking sanding the countertops with sandpaper (120 grit) and then primed them with a primer. You want them to be rough enough so the primer and paint will stick. 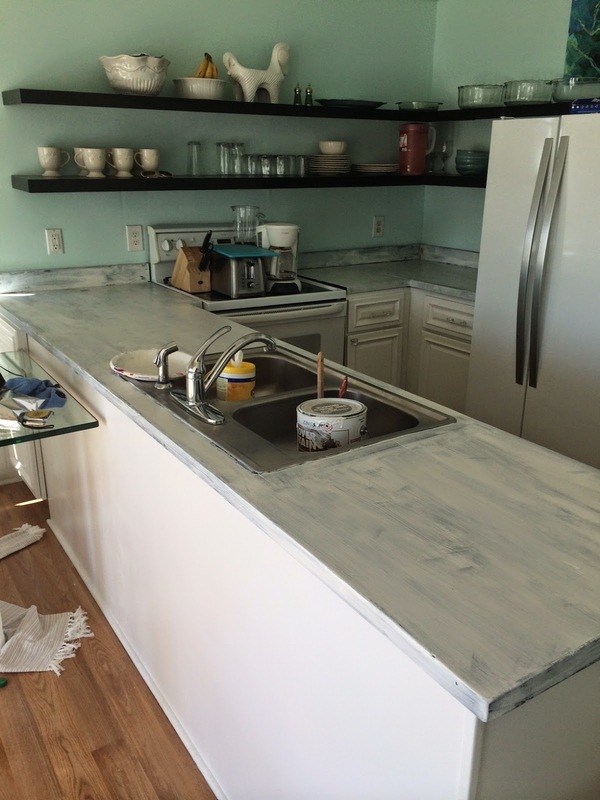 Then, I painted the counter with an alkyd paint in white gloss. The alkyd paint goes on like an oil but washes off like latex (with water) which makes it easier to work with. Then, with a large angled brush (while the white paint is still wet), create gray jagged sections throughout the surface. Make sure it is random, for a more realistic effect. Last, once you have created the look you want, you can seal it with a water based sealant. 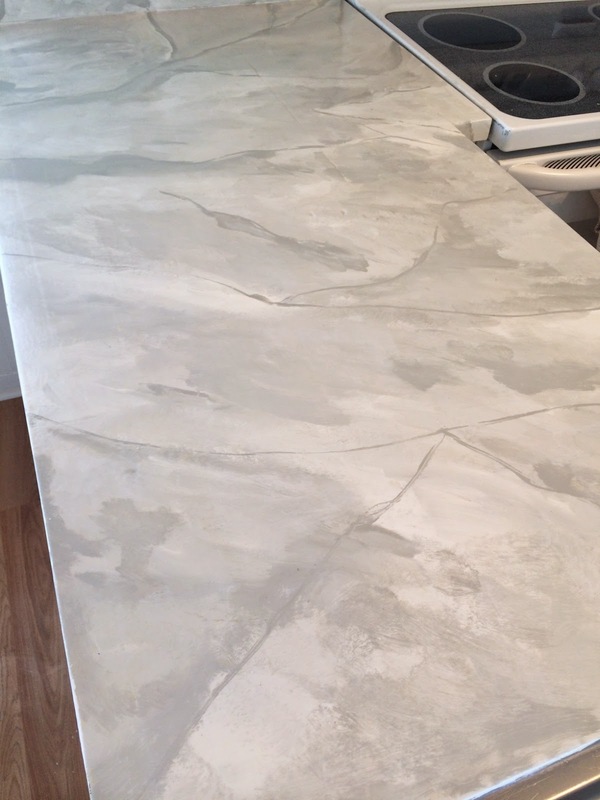 If you want a honed marble look, you can use a satin finish. For a polished look, use a gloss finish. I prefer Minwax Polycrylic. 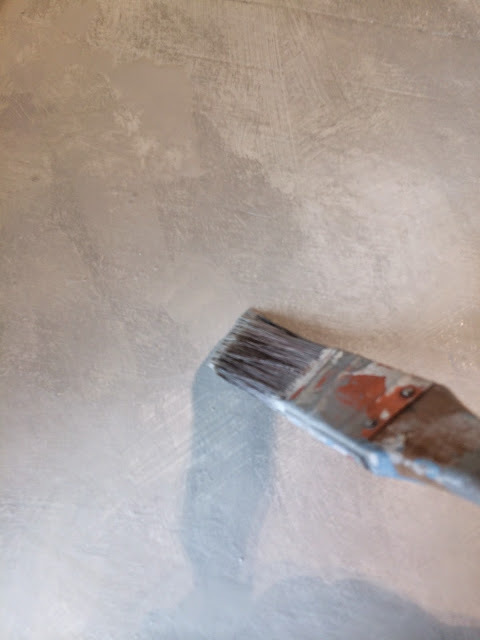 It washes off easily with water and if you apply 3 thick coats, the surface will have a beautiful sheen and will hold up to wear. 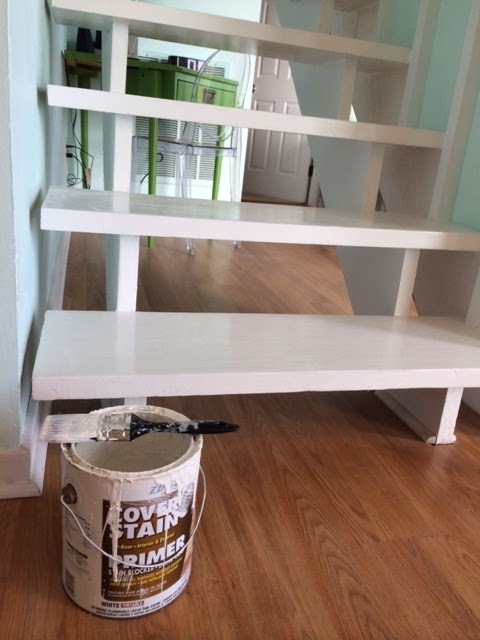 Make sure you DO NOT use a polyurethane. TIP: Even if they claim they are "non-yellowing", they still turn yellow over white. Remember, it is just paint and paint is very forgiving. If you mess up, you can paint over it until you get it right. It took me a few tries to get the look I wanted to achieve. 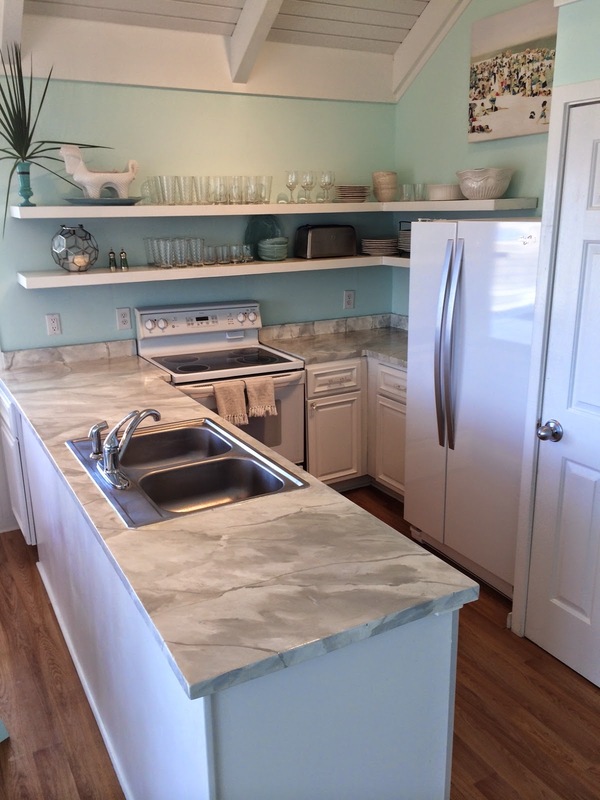 "I don't want to know how much those marble counters cost!" in addition to the ADHD that we already knew about. This is personal and I am sure you are wondering why I am choosing to share it with you. One, because we can only help one another by sharing our trials and two, because this is nothing to be ashamed of, so I wanted to shine a light on it. The last few weeks have been a harsh reminder of just how strong I am as a mom AND just how weak I feel. They say, (whoever “they” are) that you are only as happy as your unhappiest child. It’s true. She is scared and so are we. I have been amazed at the resources available to us and am thankful for the doctors, counselors, teachers/school and friends that are fighting to help my child. We have a long road ahead to attempt to right problems that have gone undiagnosed for years. It is the hardest job. IN. THE. WORLD. This Mother’s Day means a lot in light of struggles I am watching close friends endure. I have friends who have become single moms and are raising their children on their own. I can’t even imagine their daily plight. I have friends who have children that are sick and are potentially facing a lifetime of medical uncertainties. To each of you, KNOW this: You are stronger than you think. You are stronger than you ever knew you could be. Unfortunately, your strength may be called upon and it may not be until that very moment that you realize just what you are made of. You may be holding it together for your kids and putting on a brave face every day as you fight your own battles. Remember that God gave you this gift because you are strong and He forged you in His image to face whatever the path may hold. Read and I just celebrated our 100 14th anniversary. Don't get me wrong, I adore my husband, but marriage is tough. We have been through a lot and grown as a couple and I can honestly say that I love him more today than the day I married him. Ok, enough with the cheesy love stuff. Thankfully, he still loves me too -- which can be hard to do. For example, this weekend, we left the kids with my mom and spent the weekend at Bald Head in our little house. We went out to dinner Friday night - very romantic (or so he was hoping). Until... 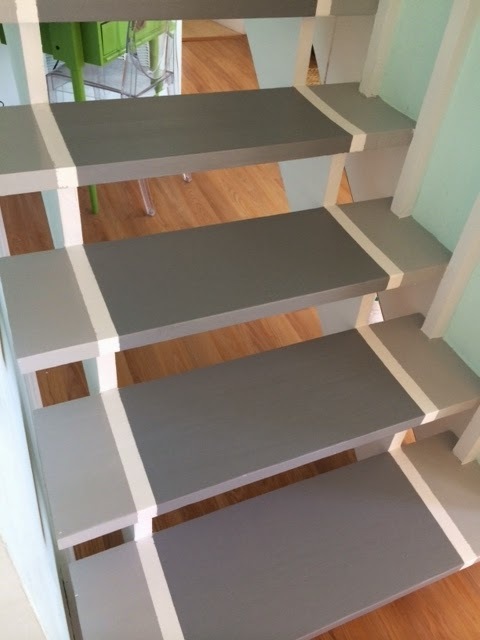 I got home and decided that yes, our stairs needed a runner. What, is that not a typical way to spend your anniversary? They are white and showing some wear. 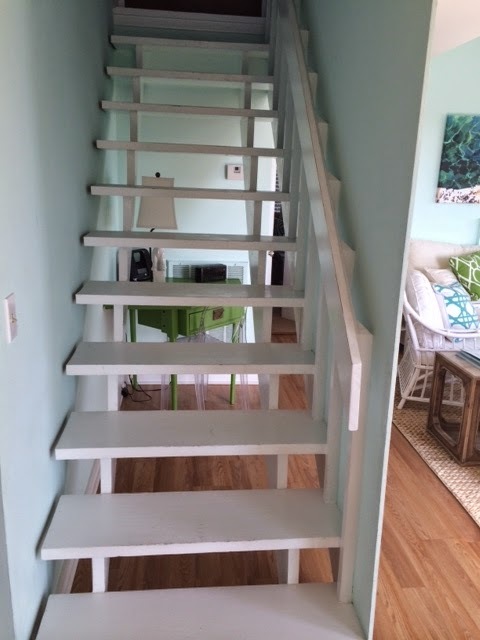 This place was built in the late 1970's and this stairwell leads to the twins room (once a loft and now enclosed). 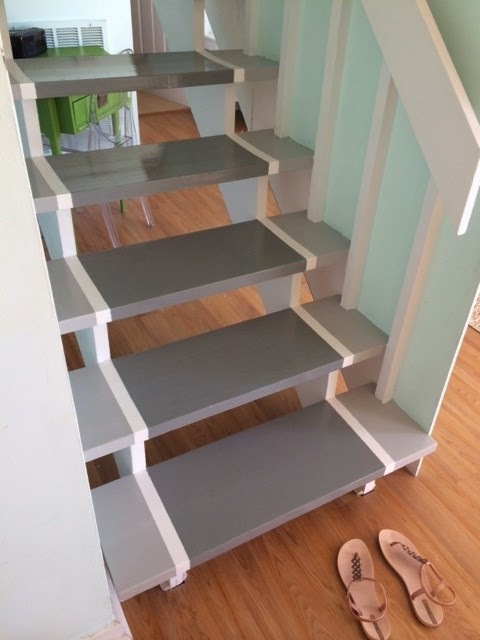 With summer and the rental season coming up, I couldn't possibly leave the stairs as is. I mean, come on, they are a hot mess. *Much like my husband once he found out or anniversary post-dinner plans involved some DIY and home improvements. 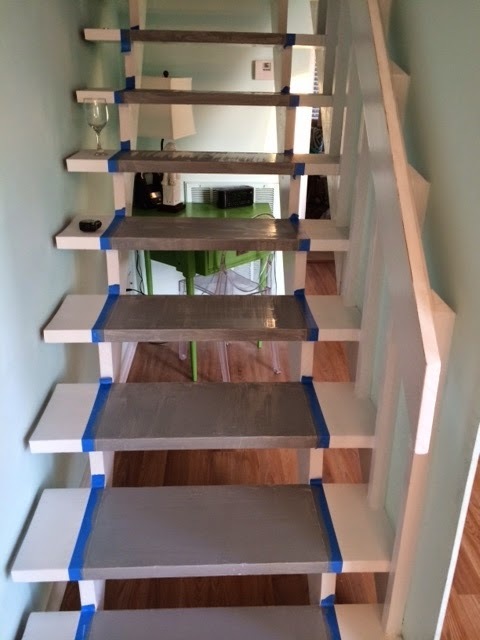 Supplies for DIY: Wine, primer, angled paint brush, flat paint brush, 2" painter's tape and paint (white, dark gray, light gray latex enamel). Once everything was taped off, it was easy. We I am thrilled with the results. Read... well, not so much. Thankfully, there was a good basketball game on. Living Room Reveal.... And a WINNER! 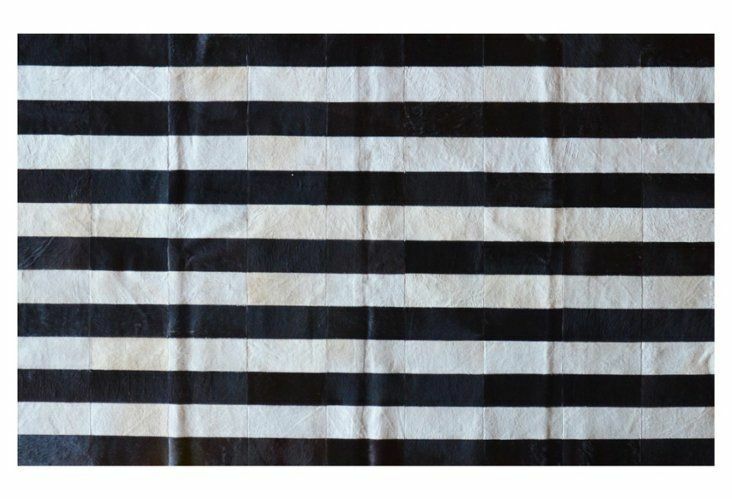 Remember this rug that I found at market? It came home with me so that I could place it in a client's living room. She originally had another plan in place but I knew she would fall in love with it when I finished the install. Take a look! 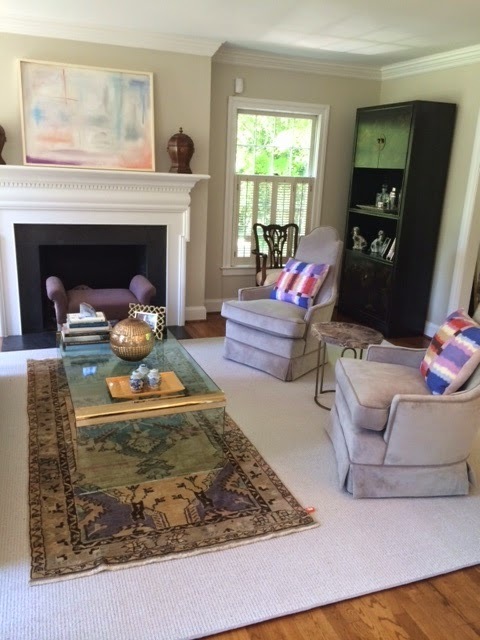 I layered it over a beautiful custom wool rug to make the space feel larger. 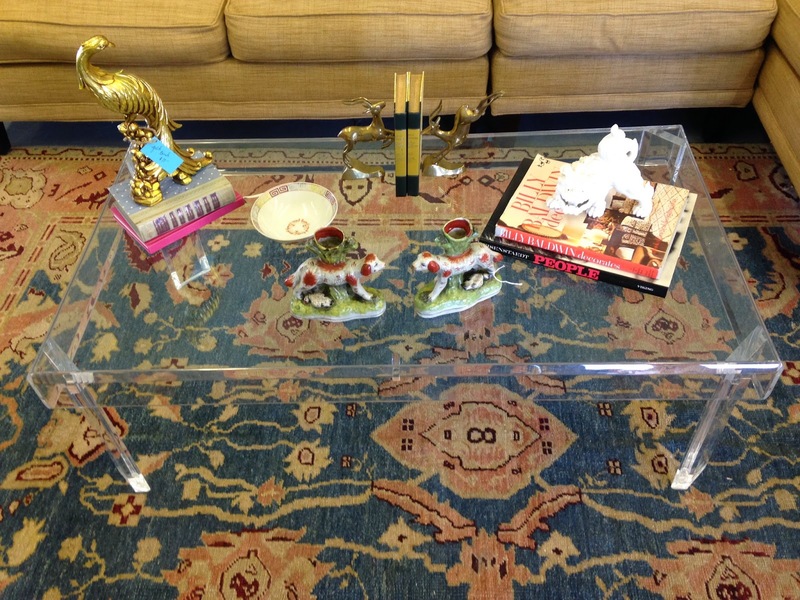 The waterfall coffee table (vintage of course) showcases the rug perfectly! I reupholstered this pair of chairs in a pale gray velvet with a contrast welt and love the result. I wanted to delicately highlight the lines of the chairs and the welt does just that. Ann did the abstract art above the mantle -- don't you just love it? 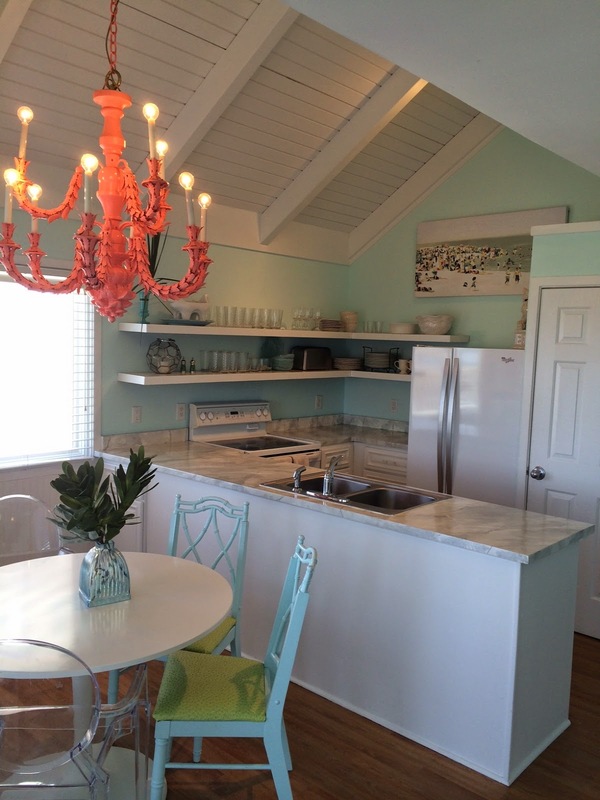 The client wanted neutrals with pops of colors and I love how it turned out.... so does she! I filled the back corner with a beautiful Pagoda table from The Coop and added pink (yes pink) mercury glass lamps and a variety of pale hued ginger jars. And, we have a winner! Thank you so much to Windsor Smith for giving us this beautiful book for our readers. And the lucky winner is the blogger from "My Heart is Here". Congratulations! Let me know how I can send you your beautiful new book!